The secret to life is butter. That's a line I've always remembered from one of my favorite movies "Last Holiday". What's the connection? That line was delivered by the chef character who indulges in fattening artistry. When it comes to food, butter just makes everything luscious right? 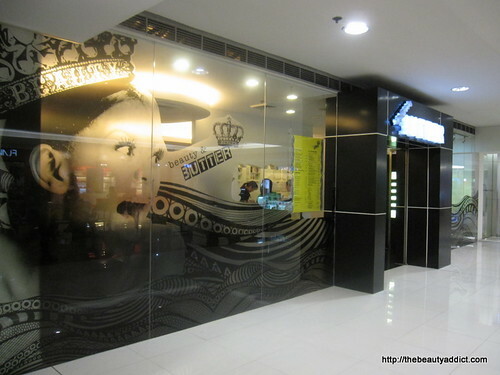 I think that's the concept of Beauty and Butter Nail Art Salon. Every service they provide makes you happy, feel relaxed and pampered just like what eating good food gives you. My hubby thought this was a restaurant haha. FYI, Beauty and Butter is a salon that offers foot spas, paraffin treatments, customizable nail art, instant-facials and hair removal. 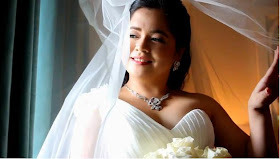 They currently have four branches: Megamall, SM MOA, SM San Lazaro and SM Cebu (if I remember correctly). All their branches has this modern chic interior you'll surely notice when you pass by. I was invited by Beauty and Butter to try out any of their services. I scheduled my visit last Thursday right after my makeup gig for the Esprit fashion show because I've anticipated the foot ache and muscle pain I'll be feeling after standing for hours. 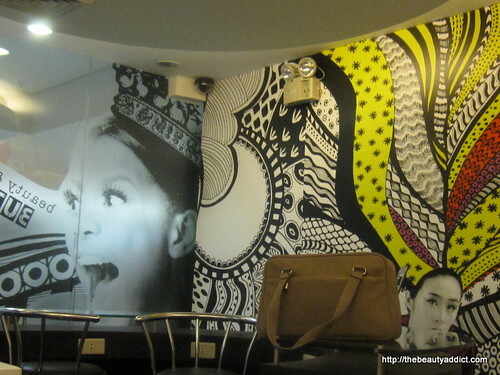 One thing that makes Beauty and Butter stand out is their wall designs. Its modern and funky yet comforting. When it comes to facilities, they emerge too. 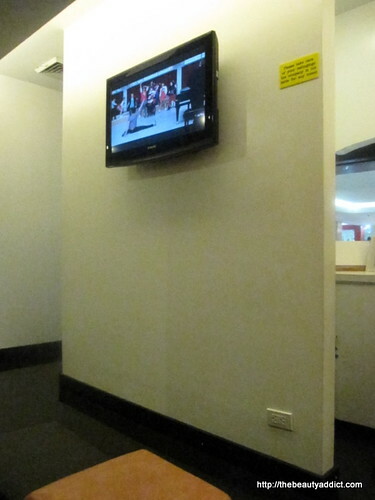 There are televisions, free wi-fi and clients who avail of services above P500 (I think!) can use an Ipad. 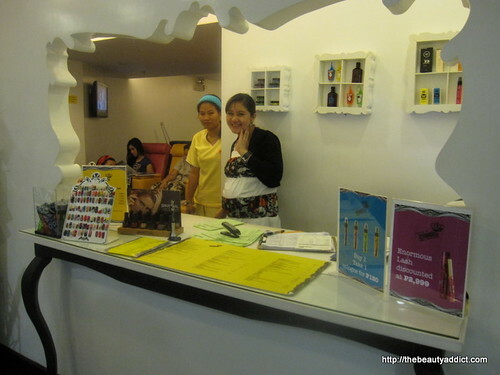 I chose to try the package that includes hand and foot paraffin wax with manicure and pedicure for P999. They said paraffin wax helps prevent varicose veins and relaxes tired muscles. The wax was really hot. If you have low pain tolerance, you should ask the nail technician to wait for a few minutes to let the wax cool down a bit before you dip your hand/feet. But it was a perfect choice for me because it really soothe my aching hand and feet that day. This is how I looked like while waiting for the wax to completely cool down. After it was removed, I had manicure and pedicure with SPAritual for my nail color. What's cool is they also have a dryer for the nail polish. I seldom go to nail salons so I'm amazed when I see new stuff they use like this hehe. Overall, I was very happy with the service I got from Beauty and Butter. It's the kind of place where I want to relax and pamper myself. Their facilities and services are up-to-date. And most of all, services are not that expensive. You can check out the prices at the Beauty and Butter website. Have you tried this salon? What service did you get? How was it?